The recently celebrated International Women’s Day took on a decidedly Italian accent with “La Festa Della Donna” at Osteria in Philadelphia, a dinner honoring four of Italy’s female winemakers. 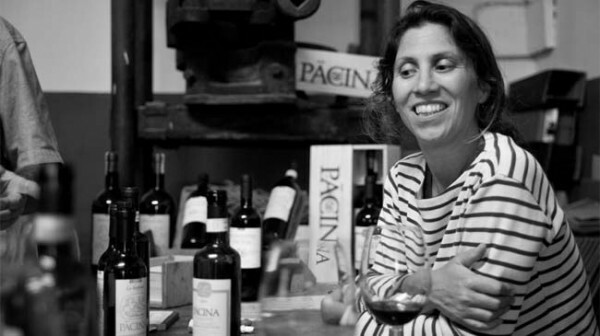 From Elisabetta Foradori in Trentino to Sicily’s Arianna Occhipinti, the emergence of women taking a leading role in viticulture is noteworthy in a country long thought of as a bastion of Old World tradition. In some cases, the patrimony of legendary estates such as Bartolo Mascarello, Bruno Giacosa, and Gianfranco Soldera has passed to and been stewarded by their daughters. In others, like Elisa Semino of Piedmont’s La Colombera, women work alongside fathers and/or brothers. A common philosophy and approach to winemaking brought together the terroir-breaking representatives at the dinner. Each is committed to organic and biodynamic practices; minimal, non-intrusive techniques in the cellar; and limited production of artisanal wines, less than 4000 cases per year, relative drops in the international wine ocean. As they spoke to the assembled guests, there was an evident yet understated pride in their craft, tempered by a humility that acknowledged their reliance on and reverence for the soil in which they work. The wines selected for the evening are distributed by The Artisan’s Cellar, a West Chester based facility, and can be ordered through the PLCB’s special order procedures. In the eastern hills of Friuli, hard by the Slovenian border, Silvana and husband Flavio Basilicata make wine from indigenous and international grapes. No technology intervenes in their traditional methods, such as the use of natural, native yeasts to promote spontaneous fermentation. The husband and wife team of Valeria and Corrado preside over vineyards on Sicily’s southern coast near the town of Noto. They and the land he inherited are one, and every aspect of their winemaking, from vine to bottle, reflects a synergy absent in mass-produced wine. Pacina has been described as the “Godfather” of the organic farming movement in Tuscany. Situated in Castelnuovo Berardenga, on the meandering border of Chianti Classico and the Colli Senesi, Giovanna Tiezzi and husband Stefano Borsa produce wine that is not manipulated through technology, resulting in pure expressions of Sangiovese and other grapes. She may not have an Italian name, but she does reside in the Monferrato hills of Piedmont (with fiancé Fabrizio Iuli, a master of powerful, evocative Barbera), and is the driving force behind Indie Wineries, a company that champions and imports the products of boutique wineries throughout the peninsula as well as from France, Slovenia, and California. The wine Summer poured at the dinner is her first label – and, with the positive reactions of the crowd, hopefully not her last.